We care about design. We care about homes. Moreover, we care about people. Just because your closet is messy, does not mean you are a mess. Because your home needs an upgrade, does not mean your life does. You are wonderful and we want to help your space reflect who you are. Let us help you & your home interiors. 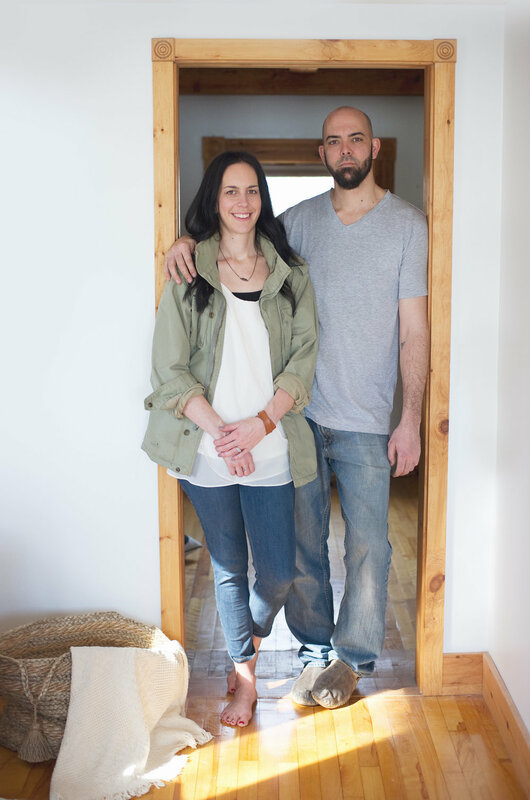 We are a husband & wife design/renovations team who are passionate about serving their community. Having moved in 2016 to the Annapolis Valley, Nova Scotia we are excited about sharing our years of combined experience and services. Living with 3 kids and Noelle’s mom who lives on the property we understand both the value and challenges of downsizing and multi-generational living. Micah McGough- With a degree in English Literature and Mass Communications, Micah went back to school to learn to work with his hands. As a certified cabinetmaker, Micah has since worked in British Columbia, Alberta, Quebec, and Nova Scotia on countless residential building projects, home renovations, and in theatre carpentry. He has often found himself working for those looking to build a rental income suite, looking to downsize, or to upgrade their current home. Micah works well with clients, hearing their every concern and need, looking to arrive at a helpful solution to improve the quality of their home. Noelle McGough- With a degree in Therapeutic Recreation and World Diversity, Noelle has worked with families and their needs in Community Development and Program Delivery. Noelle has had a passion for all things home since she can remember. As a child she could be found organizing her mothers' bills, planning spaces in sketch books, and reorganizing the family furniture for increased functionality. This passion has only grown to encompass a love for home decor, home staging and upcycling items that are already in individuals’ homes while redesigning rooms. One of the most frequent questions we're asked these days is "Where did the name Monk & Nun come from?" When Micah began building furniture he would (and still does) place a hidden hand-engraved MONK moniker on each finished piece. He says he feels most monk-like and spiritual when he is alone in his shop, creating unique pieces, and working with wood. It is during these times that he has had his biggest revelations and contemplations. Over the last years when we spoke about opening a business together we jokingly said I'd be the Nun to his Monk- running around organizing, cleaning, working with the people and making sure all was well taken care of. It was just fitting that our M&N initials matched up. And alas, you have it, the birth of Monk & Nun.